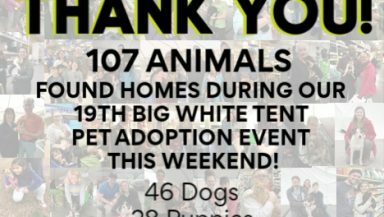 Hundreds of homeless pets can’t wait to meet you at our Big White Tent Pet Adoption Event! 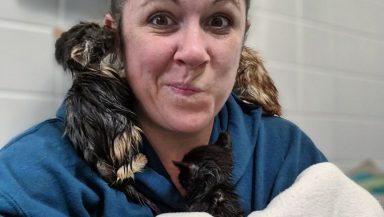 All animals are spayed or neutered, microchipped, and vetted to the appropriate age. 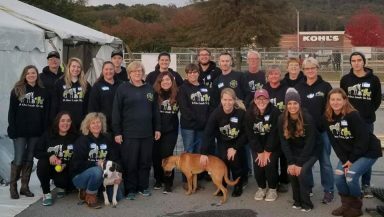 Some adoption fees are as low as $10! 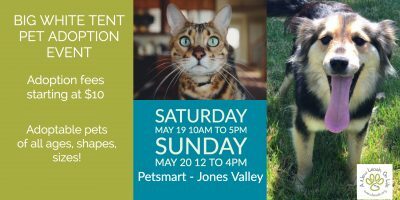 Please join us to find your new family member on Saturday, May 19th, from 10AM to 5PM, and/or Sunday, May 20th, from Noon to 4PM.